The experiment P3.3.2.1 measures the force F between the pole ends of two magnetized steel needles using the torsion balance. 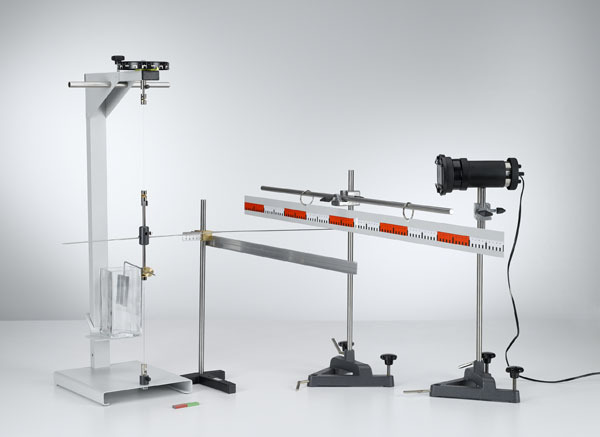 The experiment setup is similar to the one used to verify Coulomb’s law. The measurement is initially carried out as a function of the distance r of the pole ends. To vary the pole strength qm, the pole ends are exchanged, and multiple steel needles are mounted next to each other in the holder.